In the spirit of the Rare Disease Day event to be celebrated on 29 February 2912, the readers of MEBO's blog donated $200 in a brief period of 12 hours for MEBO's Community Outreach Director, Cheryl Fields, to create a video to raise awareness about the psychological, social and economic effects of trimethylaminuria (TMAU) on the lives of its sufferers. Even before it was finished uploading on DRSTILLSTANDING's YouTube Channel, Cheryl had wasted no time in sending this video message to key contacts, including the press. This is only one of many videos MEBO hopes to create to raise awareness of diverse types of body odor conditions, including halitosis, bromhidrosis, and others. It is our hope that this presentation will inspire sufferers, experts, family, and friends to help Cheryl develop a Community Outreach Network Program that will support sufferers and reach out to employers, community leaders, and many more key elements of our society. The more volunteers from around the world that come forward for this cause, the more we can exponentially reach more sufferers and make a difference in our quest to find solutions. Thank you Cheryl for you dedication and steadfastness in being proactive in your efforts to change lives. please use the PayPal donate button below, or contact us at staff@meboresearch.org. This is only one of many videos MEBO hopes to create to raise awareness of diverse types of body odor conditions, including halitosis, bromhidrosis, and possibly others yet-to-be discovered through research. 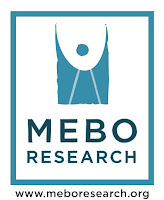 If anyone has any recommendations regarding the expansion of this program, please use the comment feature on this post, or email MEBO at staff@meboresearch.org. Trimethylaminuria (TMAU) is a metabolic disorder in which an individual is not able to break down trimethylamine into smaller compounds. Trimethylamine is the compound that gives the patient a bad odor (ranging from fishy, urine, feces, smelly socks, etc.). The odor can come from the mouth, breath, scalp, body, genital area, etc. The FMO3 gene provides instructions for making an enzyme that breaks down nitrogen-containing compounds from the diet, including trimethylamine. This compound is produced by bacteria in the intestine as they help digest proteins from eggs, liver, legumes (such as soybeans and peas), certain kinds of fish, and other foods. Normally, the FMO3 enzyme converts fishy-smelling trimethylamine into another molecule that has no odor. For more information, please contact your personal physician, a local TMAU support group, or MEBO Research, Inc., Cheryl Fields, MBA, Ph.D. (C), Director of Community Outreach Programs, (785)-286-7005, or via e-mail: cheryl.fields@meboresearch.org.